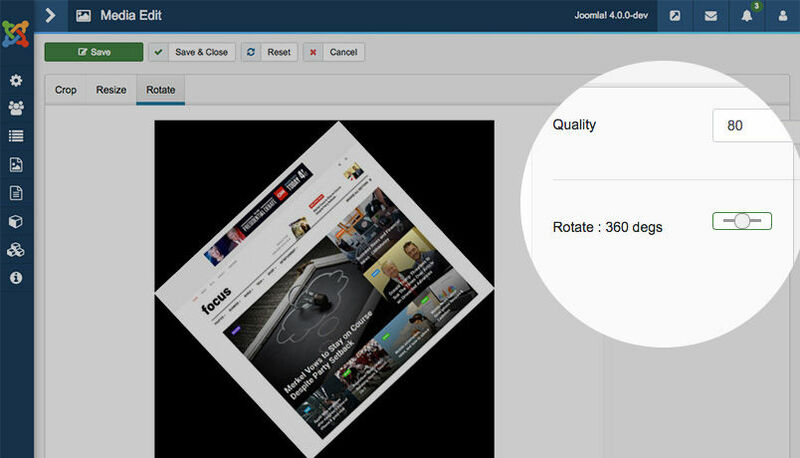 In Joomla 3, Media menu is under “Content” menu item. 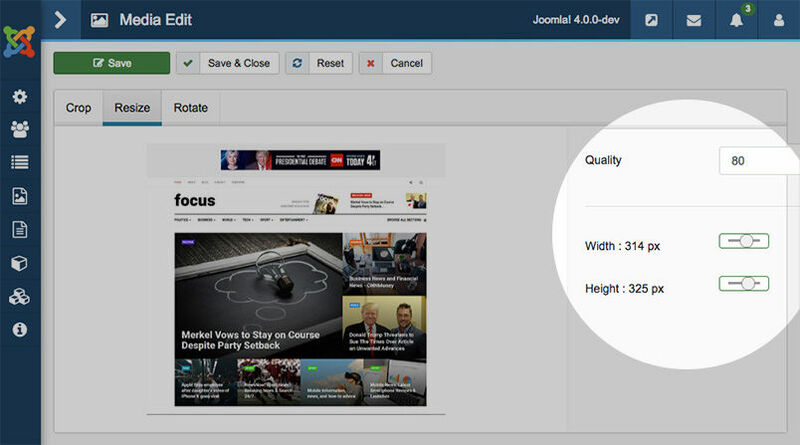 For Joomla 4, Media is moved to parent menu item. 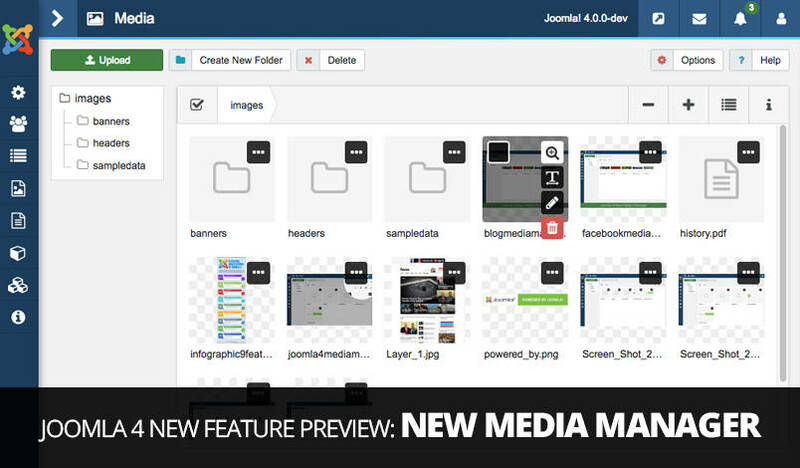 The new media manager added lots of new features and improved working panel UI to make it easier for the user to handle media files. 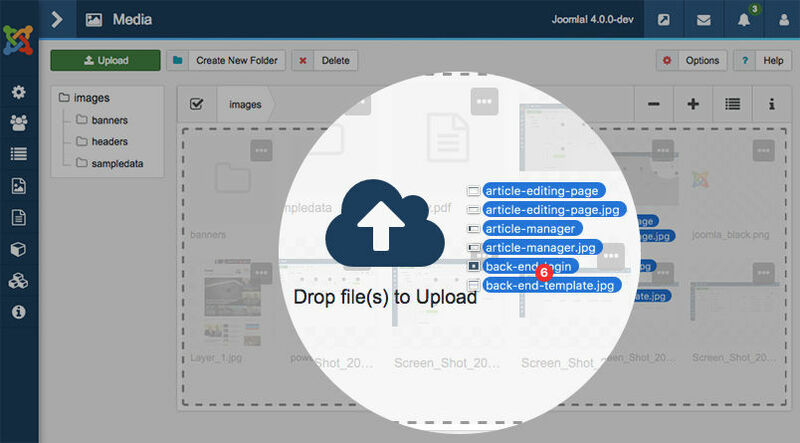 Joomla 4 new media manager supports drag and drop uploading and can upload multiple files at that same time, this will make media files uploading easier and save you lots of time. 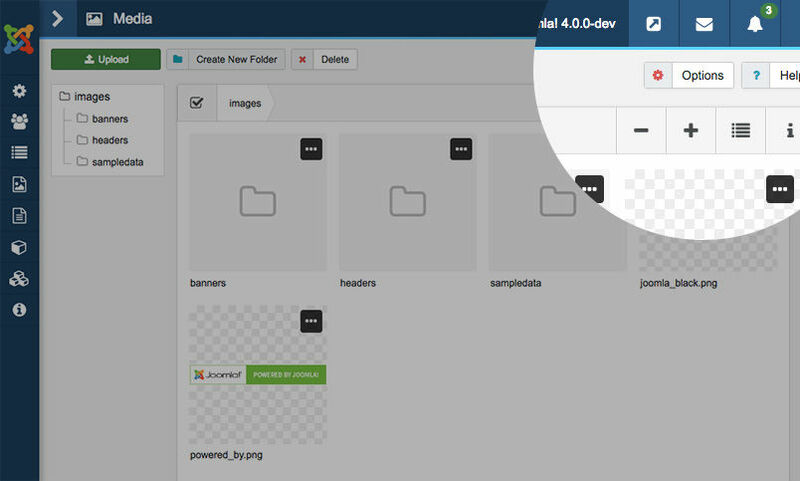 The new media manager in Joomla 4 supports an amazing feature: Image edition to help to edit images via your Joomla back-end instead of using other tools. Once you will click on ellipsis Icon(…) over the image it will give you options for Preview, Rename, Edit and Delete an image. With some simple clicks, you can edit image your way and have a totally new version of an image with your choice of image quality. 3.1. Crop options allow users to crop an image with respect to width-height & via X-Y axis as well. 3.2. Resize option allows users to set custom width and height for image. Preview – Click on Preview(Lens) icon will give you a bigger version of the image with a nice and sharp view. Rename – Click on Text icon (T) and you have the option to rename the image. 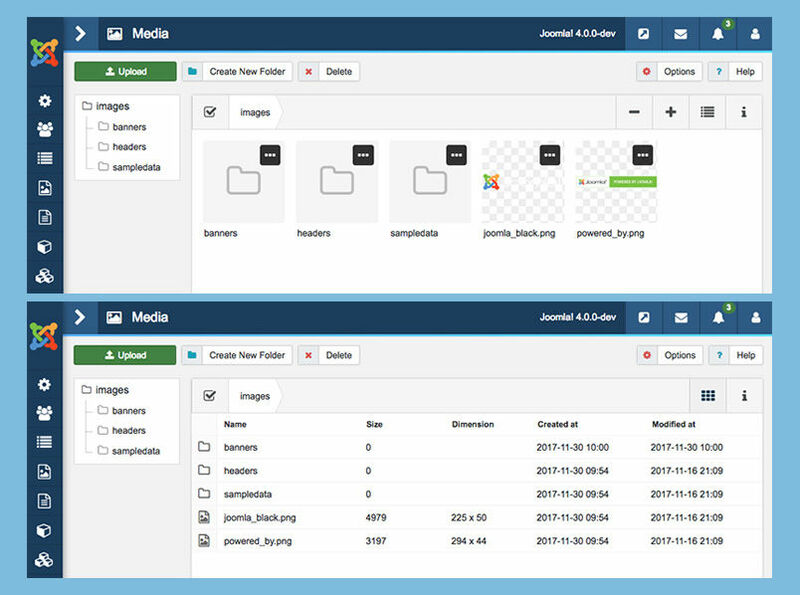 Delete – In Joomla 4 media manager you can delete the image by click on Trash icon on the image and the item will no longer appear. 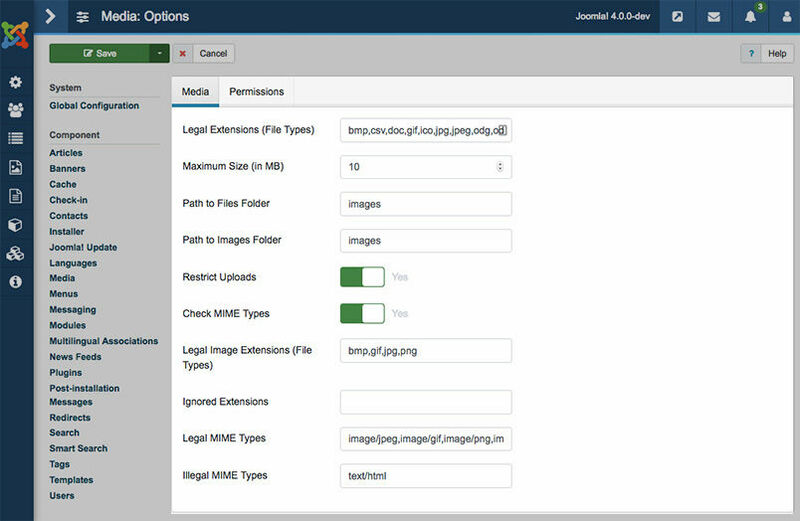 Joomla 4 Media Manager gives the option to adjust the Image thumbnail size in small and large views. 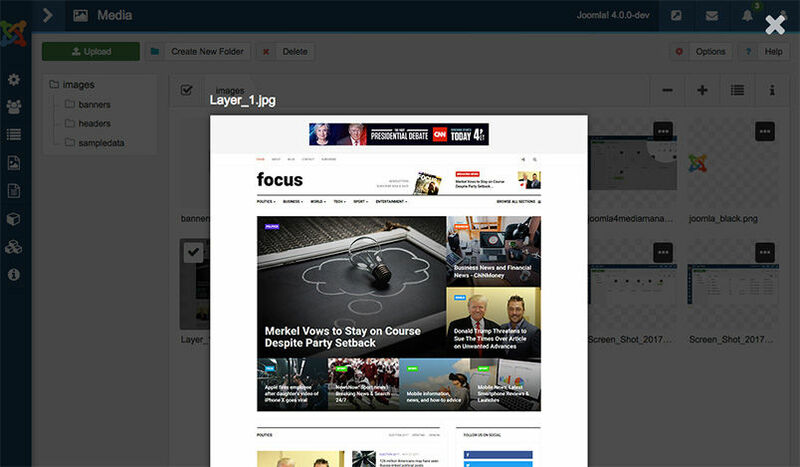 Just click on + and – buttons on the top right of the screen and see how perfect it is for every Joomla user. 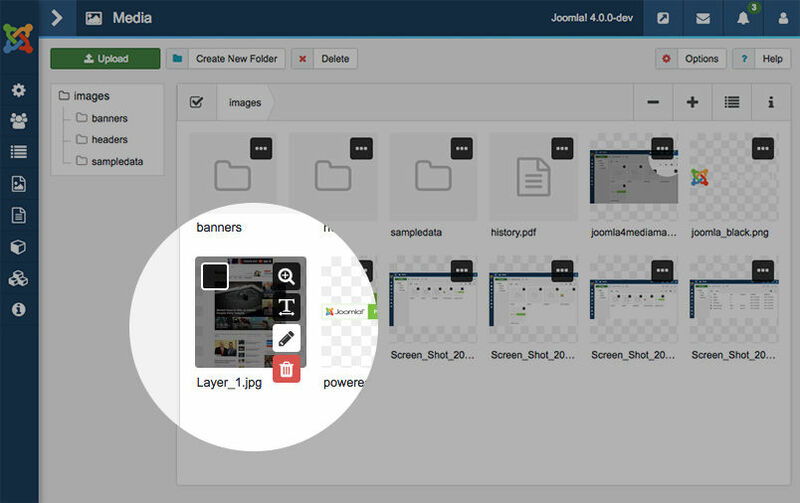 Joomla 4 Media manager gives a new view for Thumbnail and Detail View buttons in the top right corner of the page. You can switch to a different view in a single click. 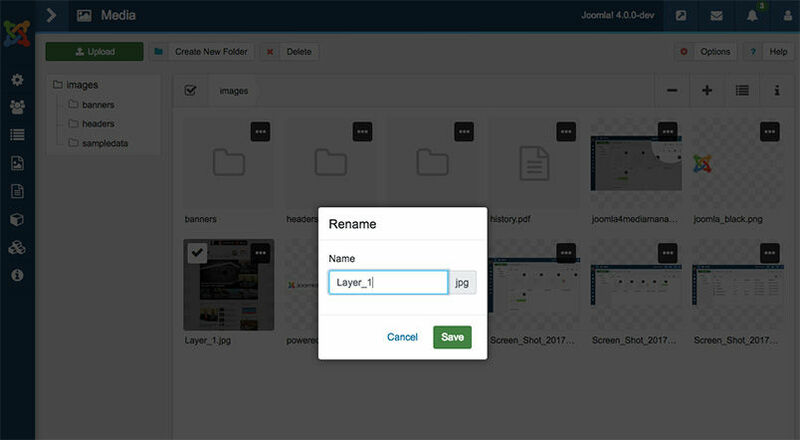 In the latest Joomla 4 you can check the Image properties like image size, dimension, type, Created/Modified date and extension from the media manager in a one or two clicks. Just select the image you want and click on the Information icon in the top right, You can click on other images to see the properties. 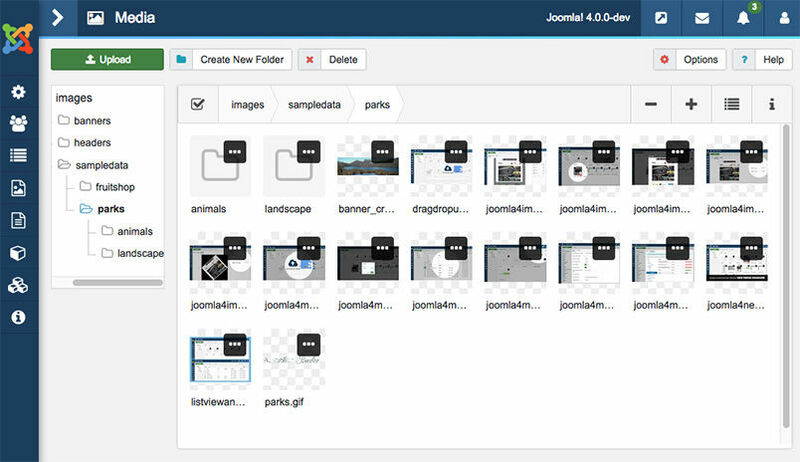 Media – Joomla 4 Media Manager also have Global options to set File types, Max size of file, Path to images folder , Restrict uploads and many more. 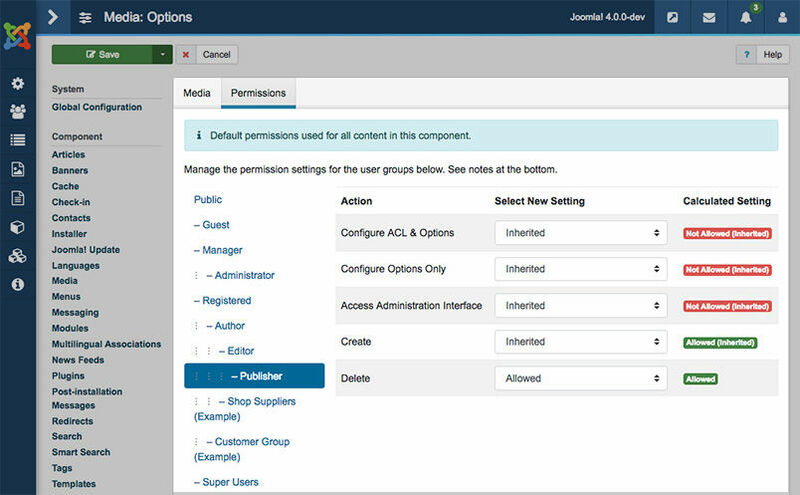 Permissions – In media Permission configuration panel, you can set the Access level for a different user group in Joomla to access Media Manager. 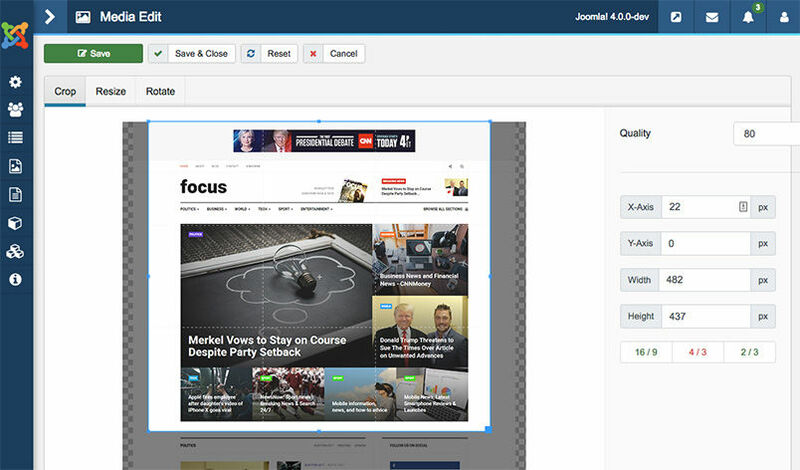 Want to know more about Joomla 4 ?